Happy birthday, Chromecast. From your interesting but utilitarian beginnings you've turned into a streaming powerhouse, giving Android and Chrome users a ton of options for streaming music, video, and what have you. Just lately that also includes the super-cool capacity for transmitting mirrored audio and video from your phone or tablet right to your TV. It's been a good year, and to celebrate, Google is giving each and every Chromecast owner a free three-month subscription to Play Music All Access. Well, not every Chromecast owner. If you already pay for All Access, you can't get a redemption code at the promotional website. And according to the terms of service, the freebie is only good for people in the United States. (Everyone else, go ahead and let loose in the comments section - we know "US Only" is kind of a broken record when it comes to Google stuff.) 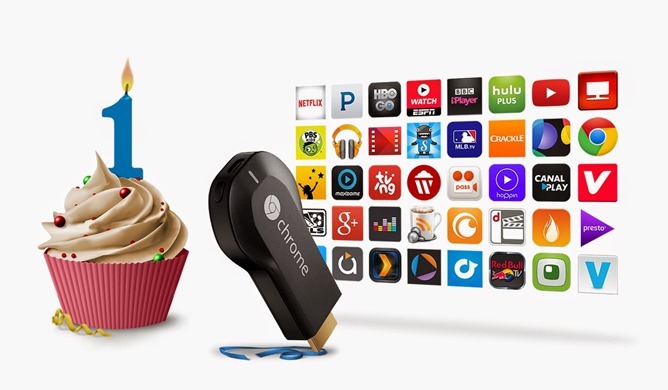 But if you're a US American who has a Chromecast, or you buy one between now and September 30th, you can get approximately $30 worth of subscription music for free. The Google Play Music app can stream directly to Chromecast whether you have an All Access subscription or not. Google would apparently like you to listen to Pharrell Williams with that capability. We'll leave it up to you.